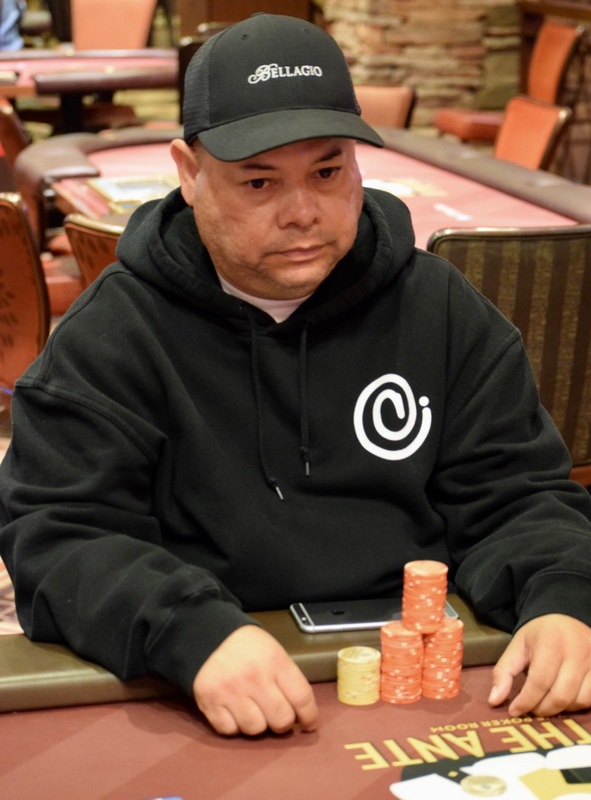 Jaime Haletky - runner-up in the 2016 Ante Up World Championships here, took one step up the pay ladder and today claimed the 2017 Ante Up NorCal Classic title, deafeating Justin Mackey is a lengthy heads-up match. 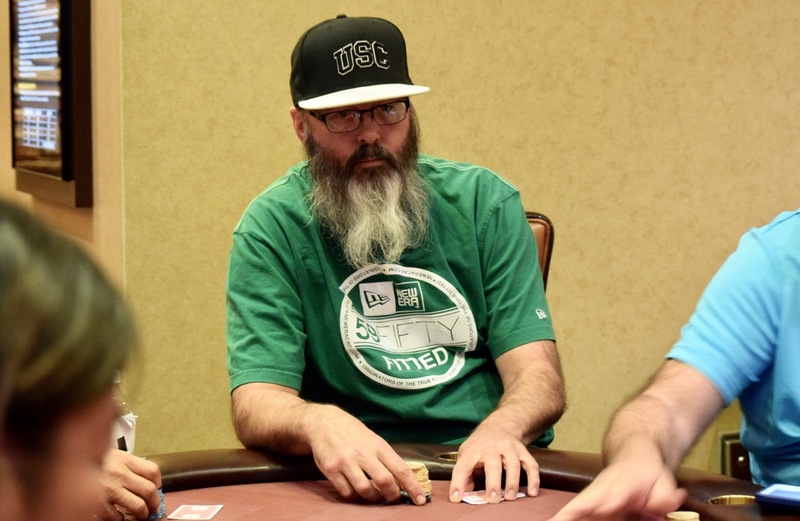 Haletky joins two others with top-two finishes in Ante Up Main Events at TVPokerRoom. Haletky now has a first in the NorCal Classic and his runner-up in the World Championships. There's an entry in the 2018 Ante Up World Championships for Haletky as part of his $49,865 firs place winnings, so he'll be back looking to be the first to three-peat a top-two finish. Now it is time for him to head off and celebrate the rest of this special day for him ... today is Jaime Haletky's birthday .... quite the celebration. The blinds have jumped to 75,000/150,000 with 25,000 antes for @JustinMackey73 and Jaime Haletky as they match up for the Ante Up NorCal Classic $1100 Main Event title. 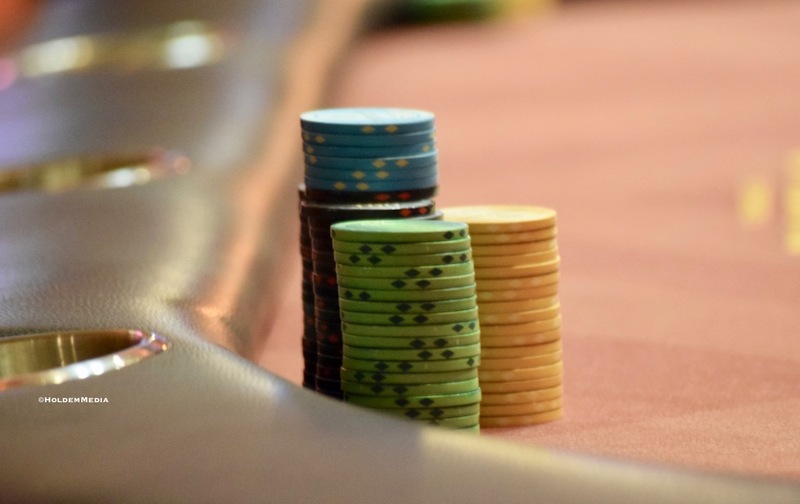 Registration and a single re-entry per player is available until about 9:15pm, the start of Level 7. Remember about 20 minutes ago when we said Jaime Haletky and Justin Mackey were trading stacks, moving between 2.6 and 3.5 million each? The blinds have gone up, yet the action remains the same. Neither player can manage to pull away from the other as this heads-up match nears the end of its first hour. @JustinMackey73 moves to 3.5 million and Jaime Haletky to 2.6 milly, then the stacks flip, and back again, and back again ... the stacks are staying between these two points as heads-up play moves along for the ante Up NorCal Classic title. Jaime Haletky's birthday is today, yesterday's was Justin Mackey's ... the two are now heads-up for the Ante Up NorCal Classic $1100 Main Event title. Justin Mackey has a 1.5-1 chiplead starting heads-up play against Jaime Haletky for the 2017 Ante Up NorCal Classic $1100 Main Event title. Winner receives $49,865 - including an entry in the 2018 Ante Up Worlds Championship Event here next July. 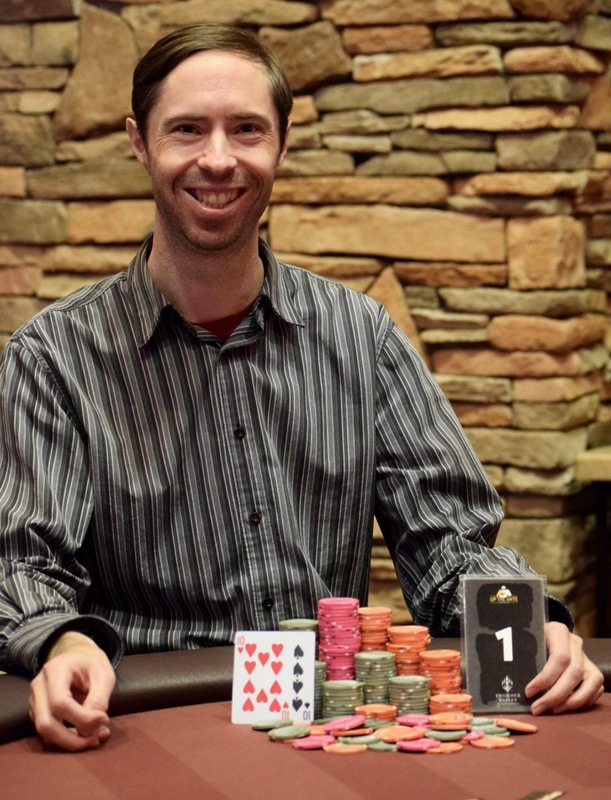 Runner-up receives $33,496. Paul Richardson held big chiplead for much of today. 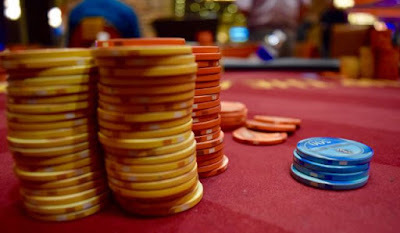 The stacks leveled as play ran on at the final table and the final three took turns as both short-stack and chipleader. 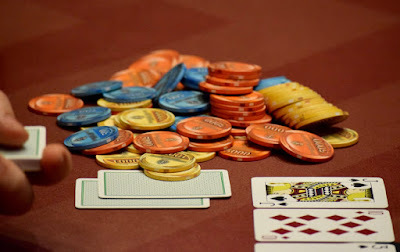 Jaime Haletky shoves from the SB for 1.4 million and Richardson calls off his 1.1 million from the BB. Richardson has Ace_Ten and he's against Jack_Three of Haletky. 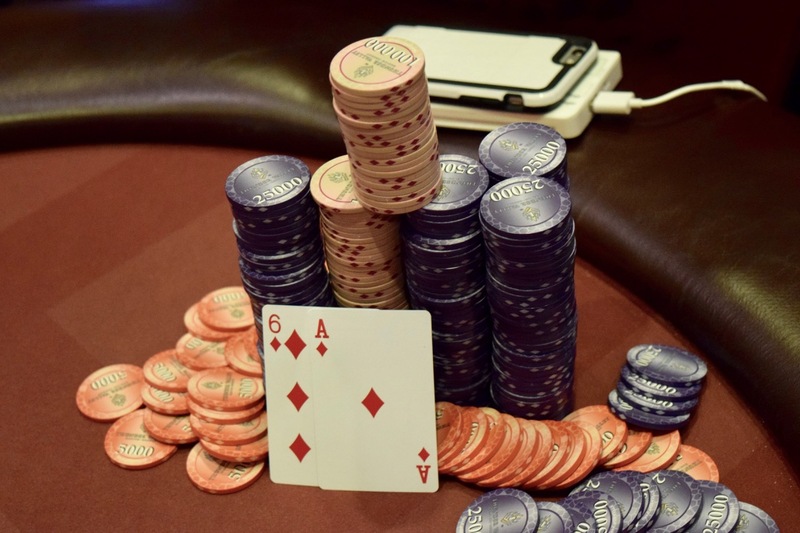 The turn is a Jack and Richardson is out in 3rd place, a $20,114 cash. Paul Richardson and Justin Mackey get all their chips in the middle - about 4 million total - on the flop, with Richardson having Mackey covered by 3BB. The board runs out , a pair for Richardson but that's two pair for Mackey and he takes a huge chiplead. 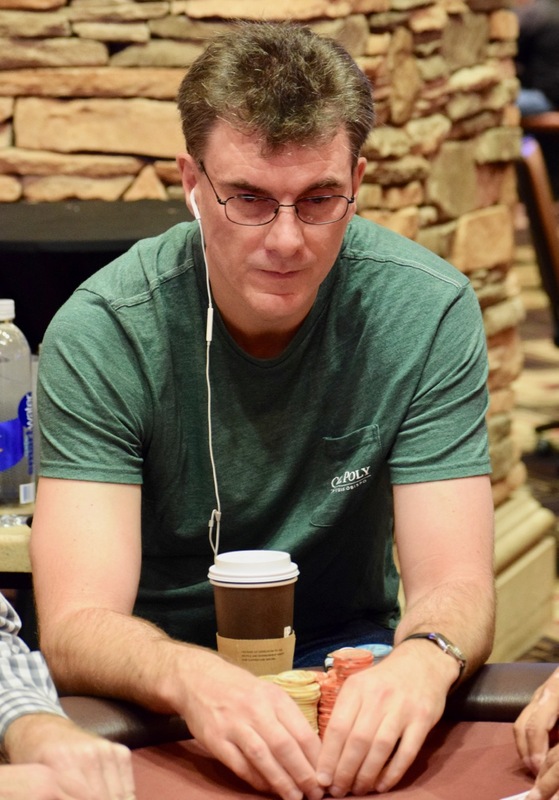 Stacks started moving back-n-forth among the final four players for about 25 minutes, then Jaime Haletky and Moshe Gavrieli were all-in with Moshe at risk. 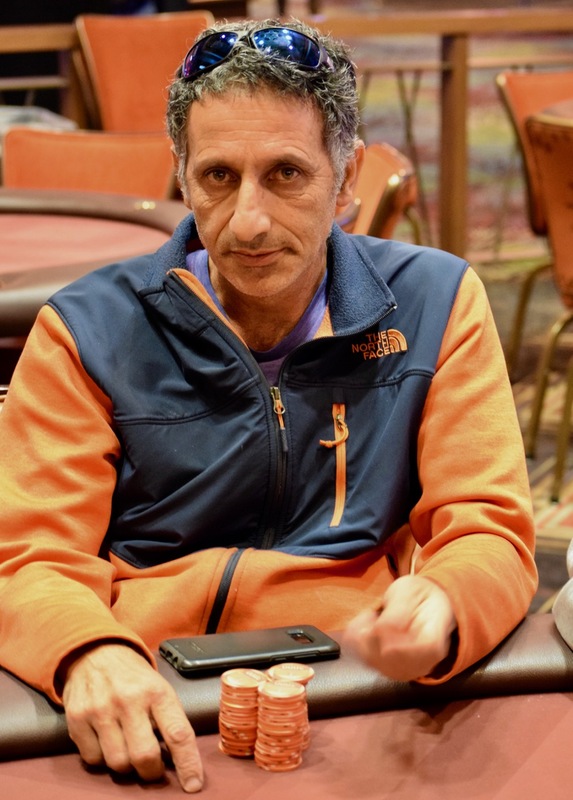 Haletky's hand held and Gavrieli is out in 4th place, a $12,245 cash. The final three players - Paul Richardson, Haletky and Justin Mackey - all have about 2 million chips each. There's not a single BB separating the three. 30 left in #NorCalClassic Event 9 - $260 Action8 - and among those in the hunt for the $5k up top is Jeff Spruitenberg, Rudy Robledo, Sharon Sanchez, Ed Miller, Carrie Diggs, Spartacus Pincombe, Jose Hernandez, Ravinder Sharma, Jimmy Zeledon (above), Al Sanchez, Dermot Lyons, Pat Lyons (no relation), Eyyal Altar, Zeev Malkin and Paul Brown. 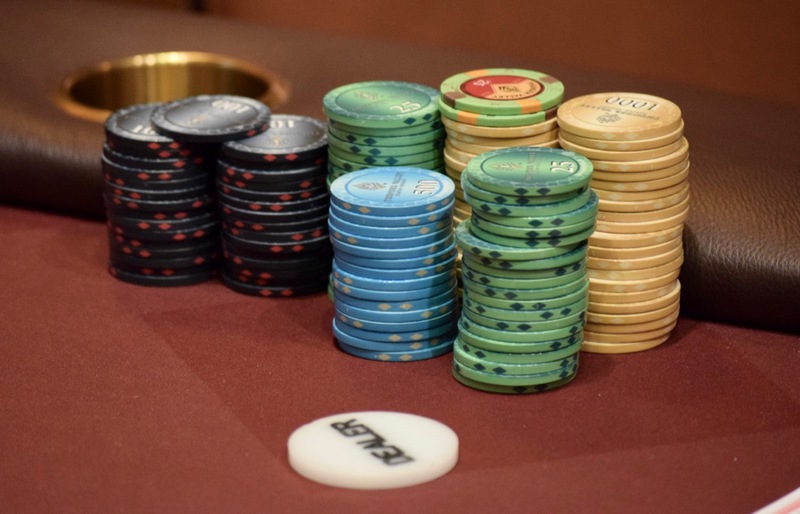 The final @AnteUpMagazine #NorCalClassic series event - $160 with $50 bounties - starts at 7pm. Begin with 12,000 chips, play 20-minute levels all tourney, with registration and a single re-entry per player available until 9:15pm, the start of Level 7. Today's Event 9 in the Ante Up #NorCalClassic - $260 Action8 - created a $14,300 prize pool with 65 entries. here's the full PayTable. 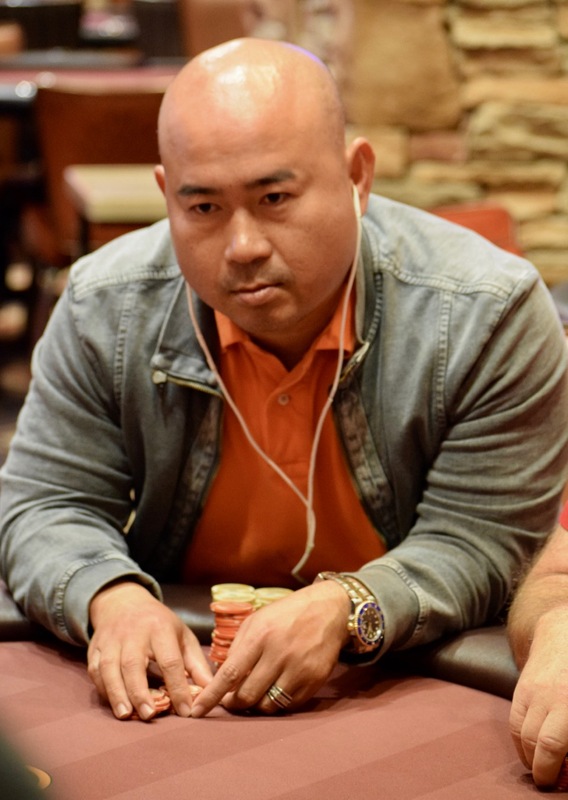 The Final Four in Ante Up's NorCal Classic $1100 Main Event are facing a level up in a few minutes to 40k/80k. Here's where they stand now. All in preflop with Queen_Jack, Hieu Le runs in to Jaime Haletky in the BB with Kings. 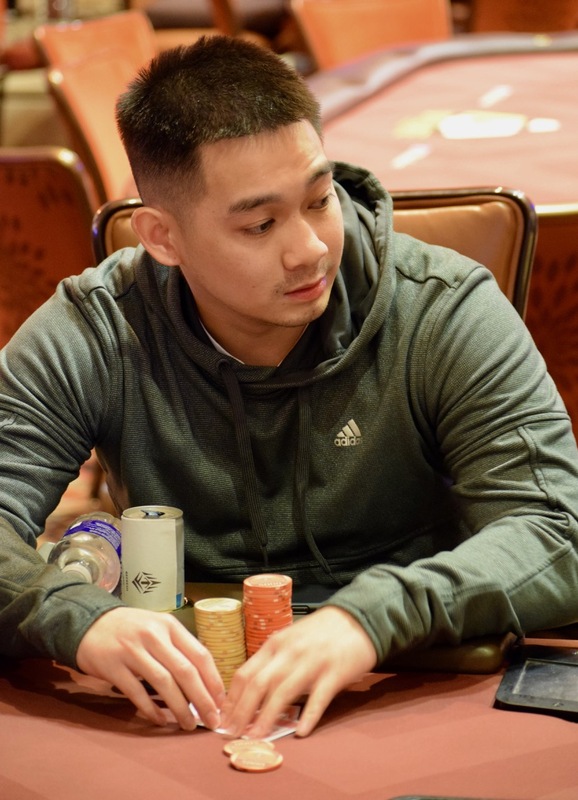 Le flops a pair and a backdoor straight draw but does not improve enough to beat Haletky's pair and he's out in 5th place, cashing for $9,458. Paul Richardson opens with enough to put Nick Kolich or Hieu Le all in. 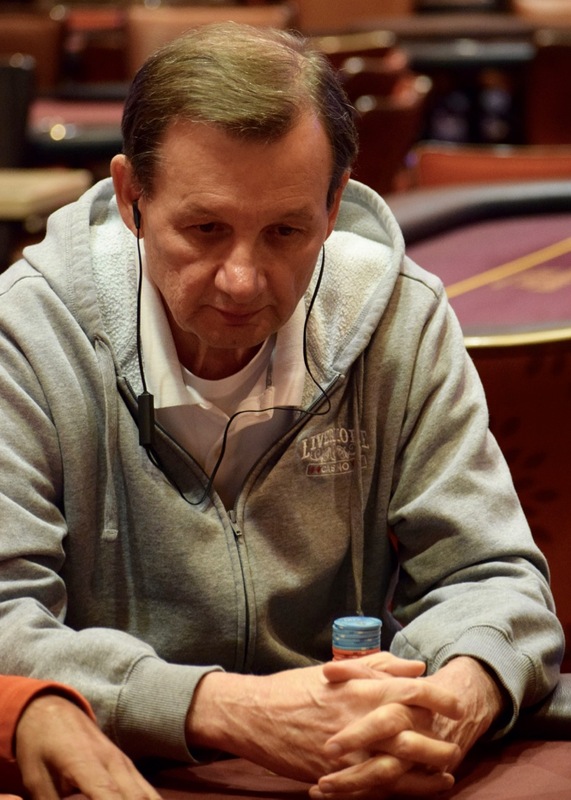 Kolich calls off his stack snd Le folds. Ace in the window, turn is a blank, then Barry Greenstein and Richardson eliminates another player. 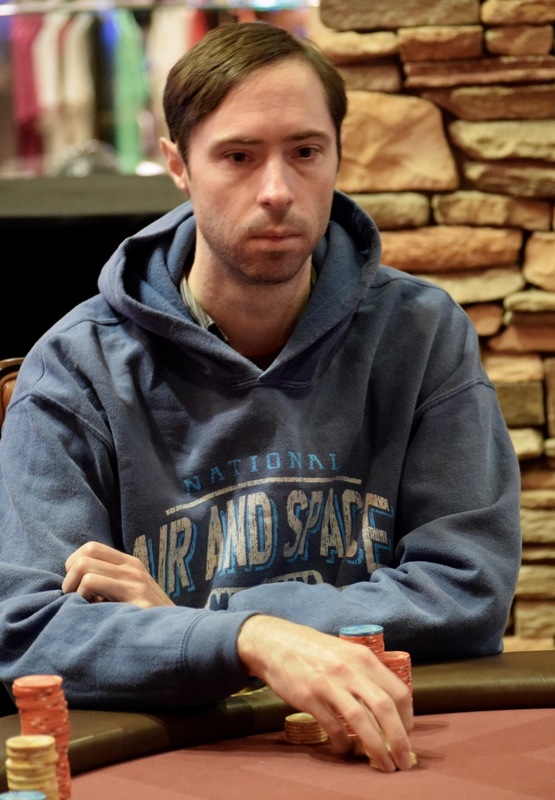 Kolich finishes 6th today, earning $7,830. Richardson tops 3,000,000 chips for the first time in the tournament. 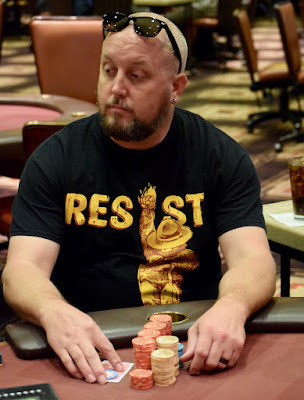 @JustinMackey73 has Jaime Haletky all in and behind. Mackey has Ace_King, Haletky Ace_Ten, and there's a King on the flop .... a Queen on the turn ... Jack on the river and Haletky four-straights out. Mackey is down to 300k, moves all in the next hand and Haletky calls with King_Eight in case Mackey is on tile. Well, Mackey woke up with Kings .. he holds and most of the chips flip back. 45 percent of the chips belong to Paul Richardson, here's how all 6 chipstacks look at thr final table of the Ante Up NorCal Classic Main Event.